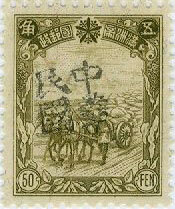 Full set of five stamps with a soft black 中華民國 Chinese Republic overprint. 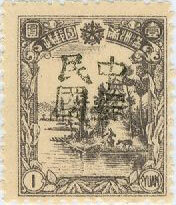 Set of four surcharges. 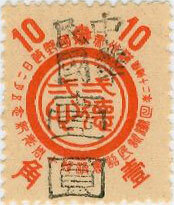 The top four characters read 中国邮政 Chinese Post, the surcharge is on the left and on the right 暫作 Temporary Use. 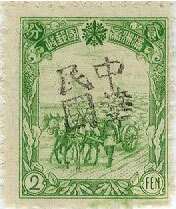 The characters at the bottom 三,黑 read San Hei short for Sandaozhen/Heilongjiang. 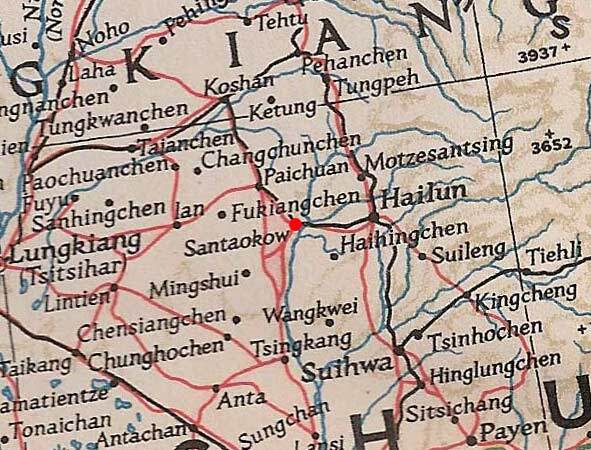 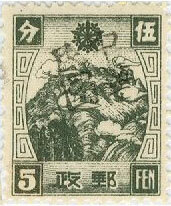 Kerr gives San Tai Chen as an alternative name for this village. 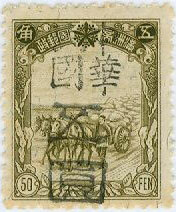 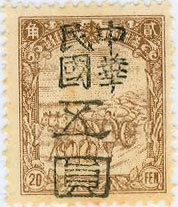 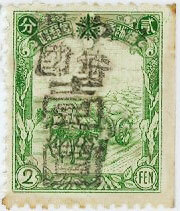 Full set of five stamps with a soft black 中華民國 Chinese Republic overprint with the surcharge below. 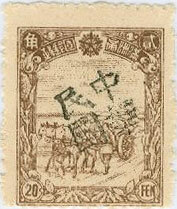 According to Kerr the booklet stamps have only been seen on covers. 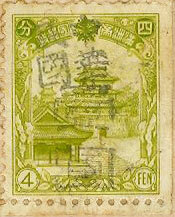 All of the overprints known for this town are shown above.